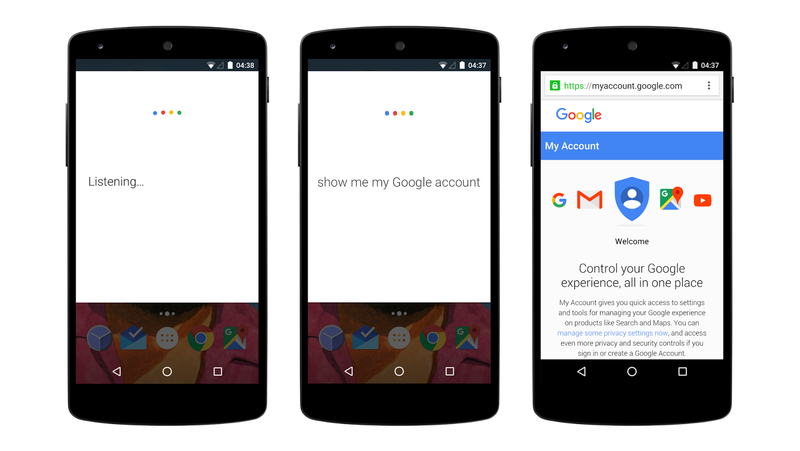 A year ago Google simplified security and privacy settings with a redesigned My Account page. On its one year anniversary, Google has announced that over a billion people have used the site and that several new features, like how to find a lost phone including Android and iOS, are being added. Similar to the Privacy and Security Checkups, the find your phone tool walks users through a checklist. The first step links to the Android Device Manager that locates a phone on a map and lets users ring the device. If that fails, it will advise users to lock their phone and add a lock screen message with a callback number. The next steps involve signing out of the Google account on the device and reaching out to carriers to disable the SIM card. All the steps include detailed and clear instructions with the last being to wipe the device. Overall, the process is very simplistic and guides users who may be in a panic over a lost phone. Interestingly, Google says the feature will also be available for both Android and iOS devices. Due to a lack of system integration, the feature for iPhones will likely be limited to locating a phone on a map. Today’s other updates involves more easily surfacing the My Account page by asking OK Google and by searching for your own name when logged in. 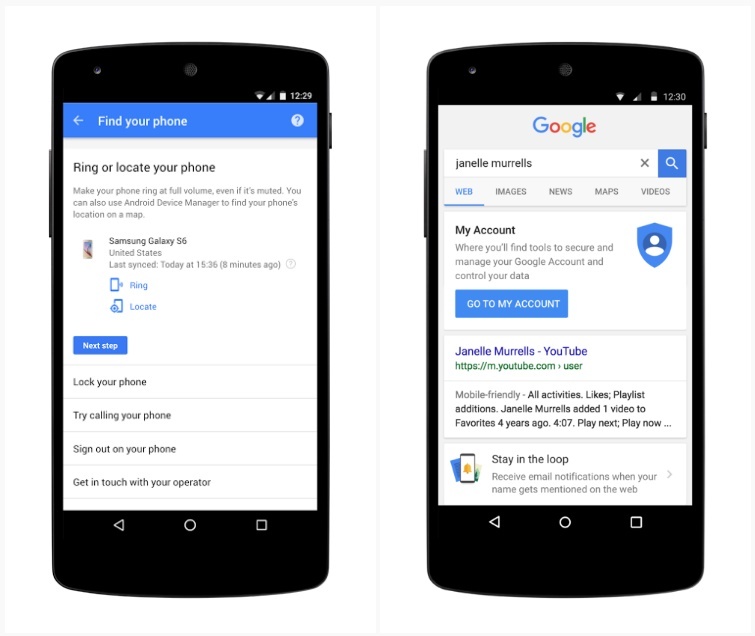 Users will soon also be able to Google “I lost my phone” to immediately jump to that specific tool.